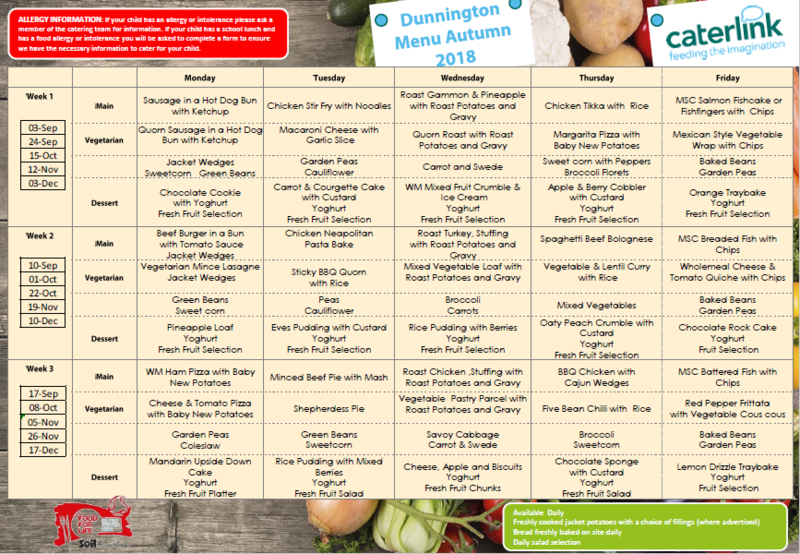 Click to view a larger .pdf version of the Autumn 2018 menu! Click here for more information about meals and snacks in school. ← Starting Reception in September 2019?